To qualify for graduation with honors, physics and astronomy-physics students must be invited by the department chair, in consultation with department faculty, to do an honors thesis. Normally, this invitation is extended only after exceptional performance in the capstone course PHYS 410 . The completion (with a grade of C- or better) of at least two additional 300- or 400-level physics or astronomy courses beyond the minimum needed for the major. do not count towards this requirement. With the permission of the chair, a 300- or 400-level course in another NASC department may substitute for one of these courses. A cumulative GPA of at least 3.5 in all 300- and 400-level classes taken to satisfy the upper-level course requirements for the major and for honors. during the spring semester of their senior year to complete the work. The department faculty will subsequently determine whether to award honors or high honors. Neither is guaranteed. High honors will be given only for truly extraordinary work. Transfer of credit for physics and astronomy courses from other colleges or universities requires approval by the department. In particular, summer courses taken with the expectation of transfer credit must be pre-approved by the department well in advance of enrollment. 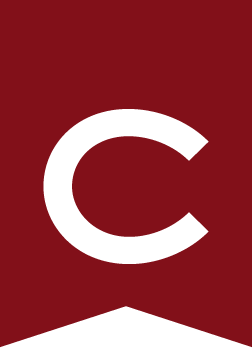 Students should be aware that few institutions offer summer equivalents for major-sequence courses other than PHYS 232 and PHYS 233 , and also that a grade of C or higher is required to transfer coursework for Colgate credit. After matriculation, no more than 2 transferred course credits may count towards the physics or astronomy-physics major. instructor’s permission. Otherwise, students will not be permitted to take any department course that has prerequisites before achieving a grade of C- or better in the lecture portion of each prerequisite. Exceptions will be made to this policy only in extraordinary circumstances. The Department of Educational Studies offers a teacher education program for majors in physics who are interested in pursuing a career in elementary or secondary school teaching. Please refer to Educational Studies .